Today is the first day of Asian Pacific American Heritage Month. Hollywood has been preparing for this month by announcing film after film after film with white people playing Asians. 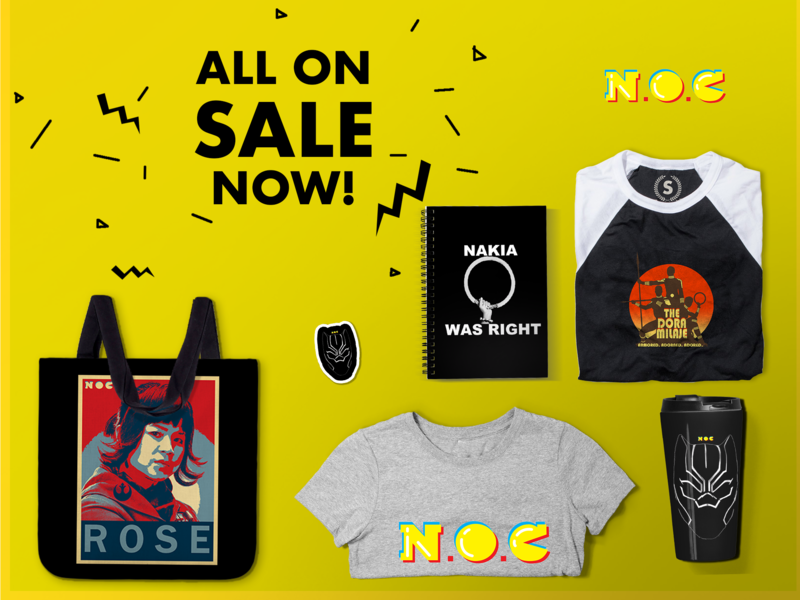 To that end, we’ve teamed up with some of the minds behind #WeNeedDiverseBooks and comedian/actress Margaret Cho to launch a new movement to tell Hollywood we are #whitewashedOUT. For nearly one hundred years, Hollywood has been whitewashing characters, and particularly Asian characters, on the screen. So when several consecutive films debut or are announced featuring whitewashed characters, it is time to say ‘enough is enough.’ Because there already isn’t enough Asian representation in films to begin with, we cannot allow the few roles that do exist go to white actors. We’re tired of Hollywood acting as though Asian Americans don’t exist, and want to let them know that we aren’t watching these whitewashed movies. We want Hollywood studios, producers, and casting directors to stop casting white people in Asian roles — or any roles that should be filled by people of color. We also want white actors to stop ACCEPTING these roles. We are asking that people realize that whitewashed movies, well-intentioned or not, are racist movies. It’s time for us to support the Asian American film community and share the real faces of being Asian American in this country. We want films that accurately represent the depth and breadth of cultures in our American communities. Movies depicting Asian culture without actual Asian actors are not only harmful to us and our children, they are bad art. We will not tolerate being ignored and erased by our media. 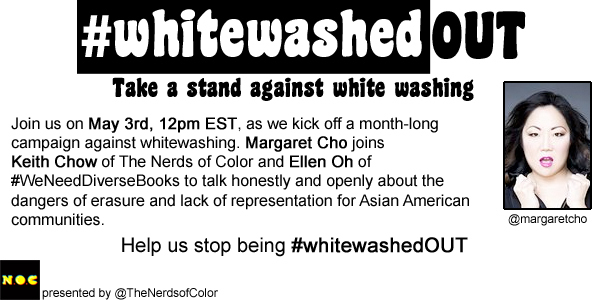 This month, join us in showing Hollywood that we’re sick of being #whitewashedOUT, kicking off on Tuesday, May 3rd, 12pm EST, when comedian and actress Margaret Cho (@margaretcho) joins Keith Chow (@the_real_chow), Editor-in-Chief of The Nerds of Color (@TheNerdsofColor), and Ellen Oh (@ElloEllenOh), President of We Need Diverse Books (@diversebooks), on Twitter to talk honestly and openly about the dangers of erasure and lack of representation for Asian American communities and other communities of color. So share your stories and your thoughts. Join us in taking a stand to tell Hollywood what it feels like to be constantly #whitewashedOUT. NOTE to media: When giving credit for the hashtag, please note that the WWO team includes Keith Chow (@the_real_chow), Sarah Park Dahlen (@readingspark), Ellen Oh (@elloellenoh), Amitha Knight (@amithaknight), Sona Charaipotra (@sona_c), Terry Hong (@SIBookDragon), Preeti Chhibber (@runwithskizzers), Ilene Wong Gregorio (@iwgregorio), Thien-Kim Lam (@thienkim), and Aisha Saeed (@aishacs). she have the date but not the location. where am i suppose to “tune in” for this? In Dr. Strange, having a white woman playing as male Asian also reinforces the stereotype of the effeminate Asian male.